Viv Hampshire wonders where all that spare time went! Back in those long ago snowy days of January, with a whole year stretched enticingly out in front of me (the first year ever of not having to go out to work to earn a crust), I thought I had all the time in the world. Fitting the writing of a novel into my new life was going to be so easy, what with all that extra spare time I was going to have on my hands. I even, perhaps a bit foolishly, made myself a promise – and published it very publicly here on the blog – I will, without any more procrastination, get on and finish my novel in progress and get it ‘out there’ to be critiqued and maybe even accepted for publication – in 2014. Without fail. Without doubt. No more excuses. Six months later, and I’m starting to panic! 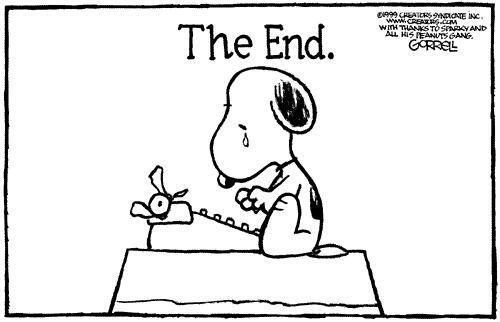 It’s getting there, but it’s nowhere near finished, and the Romantic Novelists Association’s New Writers Scheme (NWS) August submission deadline is looming ever nearer. Where did all those extra hours disappear to? Well, the trouble is… I don’t have to be anywhere important any more, so I get up later. I go for a wander around the shops or to watch the other half play bowls, because the sun’s shining, and because I want to spend time with him, and because I can. I fiddle about on facebook and read every page of the newspaper online, making sure I complete the crossword, obviously! I pop round to my daughter’s during the afternoon (earlier than I might have done before, so I can miss the school traffic) and help her with her uni essays, and then I make a start on dinner. Add into the mix a bit of a health scare (thankfully now resolved) and the fact that I have, rather unexpectedly, recently got engaged and now have all the finer details of an imminent wedding to plan, and it’s hardly surprising that the novel has started to slip onto the back burner. Oh dear! Oh no!! In fact, by the time the quiz shows and the soaps are over (I can’t possibly miss out on them. I love them too much, soap plot lines are great for inspiration and ideas, and a girl’s got to have some fun!) it’s 9 o’clock and I’m finally just about ready to write. But, hang on… that’s exactly when I have always written. Somehow my body clock just can’t adjust itself to any kind of new routine. It’s got far too set in its ways. My head, my heart, my feet, all lead me up those stairs to my desk at 9 o’clock and there I sit, quite happily, in my new study (featured, by the way, in the July issue of Writers’ Forum magazine), far away from the football that is dominating the TV at the moment, and write until bedtime – just like I always have. And, even then, I still have to find time to write my articles – commissioned ones that bring in an income – and I still love to write short stories whenever an idea strikes… but a promise is a promise. As I write this, almost at the end of June, my novel’s word count stands at around 75,000. It’s going to take another 25,000 words or so to get to the end. And so I keep working out how many weeks I have left and how many words I will have to write in each of those weeks, and the more I put it off the bigger that weekly target has to grow! At this rate I will be scribbling out the last 10,000 in the last week (or even on the last day! ), and I won’t get to sleep at all! But I did say no more excuses, so I won’t make any. As this post goes live I will just be back from a little holiday at the Chocolate Hotel in Bournemouth. Well, I couldn’t miss out on that one, could I? And then I will get down to the novel again. I really will. Honest! Francesca considers how life gets in the way of goals, and notebook mania. They say things come to try us and that certainly seems to be the case for me currently. When I set out my goals in the December blog, I was confident I’d complete them, but it hasn’t quite gone to plan. I didn’t finish the current novel by February but hope to finish it soon. As for getting the short story ‘out theres’ up to my usual level… Um… I’ve managed to get a few out, mostly to competitions or anthology callouts. The up side is I have two new 7,000 word stories which, if not accepted, I have ideas for to extend to novellas, plus I’ve written a novel opening for a comp which at a later date could be continued. What doesn’t help in getting goals achieved is having a ‘really good idea’ for the novel already apparently written and edited, which means you have to go back through it and filter in all the elements of the new sub plot. The novel I’m referring to, Ten Years Later, is doing the rounds, but it doesn’t stop me editing it anew each time it goes out. I’ve had a major idea for the very first novel I wrote, Sea Angel, but I must resist putting it into action until sometime in the future. Even when life makes it hard to get to the computer, I always carry a notebook. I have a variety of them in different sizes and can’t resist buying pretty ones, even when I really don’t need any more. Recently I’ve been away a lot visiting relatives. I’ve found family are quite understanding when I pull the book out of my bag to record an idea, even if they’ve been the cause of it! If I find myself in the rare situation of not having a notebook on me when an idea strikes, I have been known to send myself a text message. 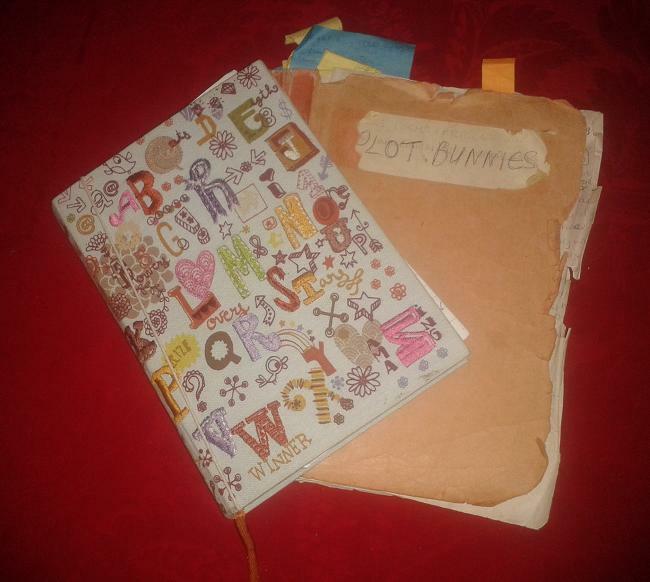 Then there are my ‘plot bunnies’ books. This was something I started seventeen years ago, long before I sent anything out. I’d recently taken on the role of parish magazine editor and had acquired a tatty duplicate notebook for the job. Instead I recorded story ideas in it. I’ve since filled it and am well into a second book, much prettier than the first. In total there are 318 plot bunnies, for short stories and novels. 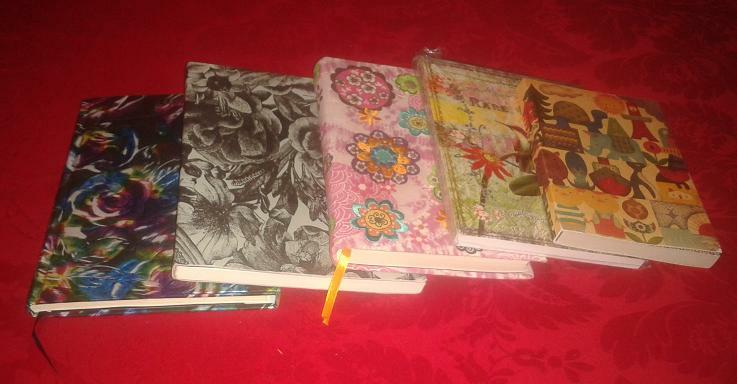 All the ideas from the other notebooks go into these, so they’re all in one place. A bit of advice: if you start an ideas book like this, put an index at the end with titles or clues to each idea and number the pages, otherwise you’ll never find them when you want them. So many words, so little time! Elaine Everest, wishing there were more hours in the day and days in the month! I know it’s been said before but where has the year gone? It doesn’t seem five minutes since I was writing last month’s blog piece and only days since I declared my writing intentions for 2014. For some crazy reason I’d decided back in January that I was going to increase my output of articles and research new markets for my journalistic work. This was mainly because the Everest household was facing redundancy. ‘Him indoors’ was being cast aside by the American owners of the company he worked for, along with every other long serving employee. The company was making excellent profits, and providing a much needed service to the medical industry, so it made no sense that the work force (most being over the age of 55) were faced with possibly never working again. Sorry, rant over! However, ‘Him indoors’ secured a lovely job after we wrote to over fifty companies in Kent enclosing an SAE, letter and CV – we didn’t mention that he was over sixty. Seven replied. I almost started a fresh rant about people who can’t reply to a letter… We tackled the problem head on by writing those letters. Employment agencies are ageist and can be so depressing to the older person. We needed to stay positive. It worked. In July, American Independence Day in fact, he leaves the employ of the Americans and joins a good old British firm. Something else happened in January. I found myself an agent – imagine me dancing around the room at this point – I had to pinch myself. Had she made a terrible error? Did she mistake me for someone else? It seems not. Isn’t this the dream that every writer hopes will happen? So, instead of thinking about the aforementioned article research I found myself researching World War Two and the people of Kent once more. Yes, I have my dream job, writing Sagas set in the war years. Vera Lynn sings in the background as I work and old black and white films are constantly running on my television. I’m back in the zone. My word goals for the week, along with research, leave no time for much else in my life. I’m not even sure I’ve stepped outside the front door since then! 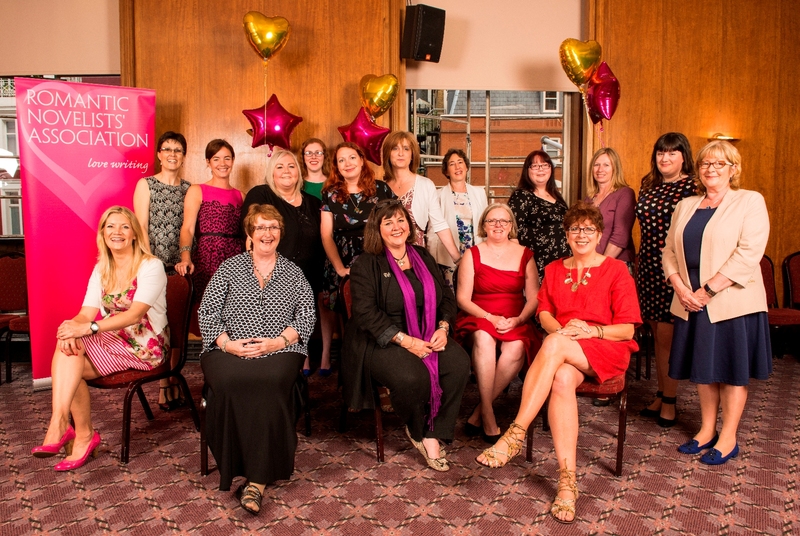 The other big event for me was in May when along with sixteen other novelists I attended the Romantic Novelist Association’s Summer Party as one of the nominees of the Joan Hessayon Award. It was fabulous. So many people were complimentary about Gracie’s War that I felt just like a winner even though that honour went to Jo Thomas. There’s nothing better than being in the company of so many lovely authors most of whom I first met on the shelves of my library and Waterstones. Looking forward I’m hoping to be able to hand my new book over to my agent Caroline Sheldon, who has been so helpful as I move onwards in the writing world. Fingers crossed that a publisher will like my book. If not I may well be researching new markets for my articles! Elaine Roberts reflects on 2014 to date. I can’t believe we are in June already, where is the time going? For my sins, I work full time in an office, so that obviously dictates where a large proportion of my time is spent. My three-year-old grandson is also a large part of my life, as indeed is babysitting, so now you should be asking when does she write? I can tell you I’m very lucky that I have a very supportive family, and in particular my husband has taken control of many household chores, to give me time to write. Most of my writing takes place over weekends, so my output is probably not as good as some, but I do try to achieve between five and ten thousand words a week. In January this year, my target was to submit one short story a month, which I have achieved. For me, the most thrilling news was selling my first short story to Take a Break Fiction Feast, my first British sale. I have sold stories to India, Norway and Ireland but the British market eluded me, until now.I’ve been brave and sent off my first completed novel to a publishing company. I’m realistic enough to know it’s unlikely to sell to the first publishers, I tell myself that only happens in films. My second novel is nearly completed, my aim is to have it finished and sent to the Romantic Novelists Association (RNA) New Writers Scheme for a critique before the RNA Conference in July, where I’m hoping to book a one to one with a publisher. Like my fellow bloggers, I’m posting one piece a month on our blog and have also made an effort to improve my social media presence. I have been particularly successful on Twitter, with over 24,000 followers. I’m also attending the Writers Holiday at Fishguard in July; except for me it will be my first time. I’m looking forward to meeting other writers and learning from others’ experience. The one area I need to improve is networking, face to face. I do find it difficult to approach people I don’t know. Although, when I have been introduced to writers at RNA events, they have ben very encouraging and happy to share their experiences with new writers. The first six months of this year have been successful, I have achieved the goals I set in January. I’m looking forward to the next six months; hopefully it will bring the much sought after book deal. Until that happens, I’ll keep writing, keep learning and keep sending out manuscripts for short stories and novels. Natalie Kleinman talks about her journey to publication and her aims for the future. It’s hard to define a typical week at the moment, not that I think any week is ‘typical’. With the recent e-publication of my first book, Voyage of Desire (Safkhet Publishing), and the circus that went with it, hectic but nice, plus the publication on 17th July of People’s Friend Pocket Novel, Secret Love, (DC Thomson), normal is a forgotten concept. However, backtracking to the beginning of the year – nearly six months already! – my aim was to see the launch of the first and the completion of the second. My output of short stories has been reduced but I’m happy to say I have still sold a few this year. Writing short stories has always been a pleasurable chore, if you’ll forgive the oxymoron. It’s a completely different application from novel writing and I am one of those lucky people who can jump to one if the other is holding me up. It happens! My third book, Heaven on Earth is at present a work in progress. While Twitter is not my favourite medium, I spend a considerable amount of time on Facebook – guilty as charged. Aside from being a means of promoting myself and my books I have made many friends, some of whom I’ve had the pleasure of meeting in real life at various events. I am writing this piece before the Romantic Novelists’ Association (RNA) Conference weekend early in July but if last year is anything to go by I will renew friendships and make new ones. It’s a great opportunity for networking as well as a huge pleasure. A week later I’ll be off Fishguard for the annual Writers’ Holiday, holiday being a misnomer if ever I heard one. My previous experiences at the Caerleon campus have prompted me to go the extra mile(s) to participate again. My first year there involved a steep learning curve together with the confirmation that writers are a lovely and generous group of people. The curve continues, though less steeply I hope. As well as being a contributor to this blog, I have, since January, co-produced the twice weekly RNA blog in conjunction with Elaine Everest. While the job of sourcing the ‘guests’ and material falls to Elaine, the editing is a shared load and a lovely way of following other writers’ experiences. I’ve left the worst almost till last. Administration is anathema to me and though common sense tells me it would be easier to do it as I go along I can’t actually bring myself to do so. That said, I am meticulous about keeping spreadsheets of my submissions, my successes and indeed my failures. I have no set plan for dividing my time. I spend most of every day sitting at my laptop but the tasks seem to present themselves in their own order. I’ve had an amazing five months so far this year and I look to the next with the determination to continue to apply myself. You only get out what you put in! Welcome to the June posts from the WriteMindsWritePlace ladies. This month we are looking at our own writing, how we plan our working days and how many hours each week we dedicate to our writing. You will see that we all work in different ways and hope this will help those new to writing who wonder if there is a correct way to work as a writer – there isn’t! 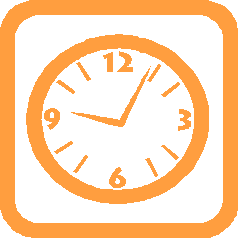 We also look at the ways we split our time between actually writing, the admin associated with the job amd also promotion of our work. We will also be reflecting on the goals we made at the beginning of 2014. We are almost halfway through the year so lets see if the WMWP ladies are keeping up with their goals. It’s been an exciting time for most of us and I know we have all been working hard. Why not post a comment and tell us how your writing life is panning out? So, over to my fellow writers to tell you something about their writing life.